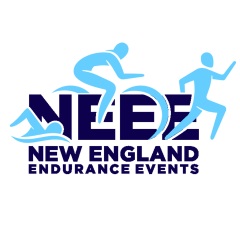 When the Falmouth Triathlon is across the street…join in! Falmouth is a very special place to our family. It’s the perfect setting for a getaway of any length of time: beautiful and serene, yet also close enough to quickly escape the hassles and pressures of daily life back home in Greater Boston. We’re hardly the only ones with those thoughts, of course; Cape Cod means so much to so many different people who find ways to spend a weekend, a week, a summer, or their entire lives here. There’s something about that dividing line between the mainland and the Cape, seemingly exactly at the midpoint of the Bourne Bridge, where everything just…changes. Even the chatter inside our family car slows, then intensifies as we cross that divide; as if our personalities have been switched over to a different channel. For then, we realize, Falmouth is just down the road. Peaceful. Tranquil. It’s where I can breathe salt air, enjoy a bit of much-needed solitude, put sand between the toes. And this year, it will also be a place to reclaim a tradition I missed last year. Our summer home happens to be just across the road from Surf Drive Beach. From my deck I could watch see the start and finish of the Falmouth Triathlon — were I not in the transition area myself. And that’s where I’d rather be. When we first moved in, other residents told us what to expect. This race is one of the town’s gems, they said, an annual tradition that goes back over 25 years. It seems as if most local resident who are in reasonable shape have competed at the “Falmouth Tri” — even if they might end up as one of the last finishers, basking in the crowd’s cheers as they cross the line. 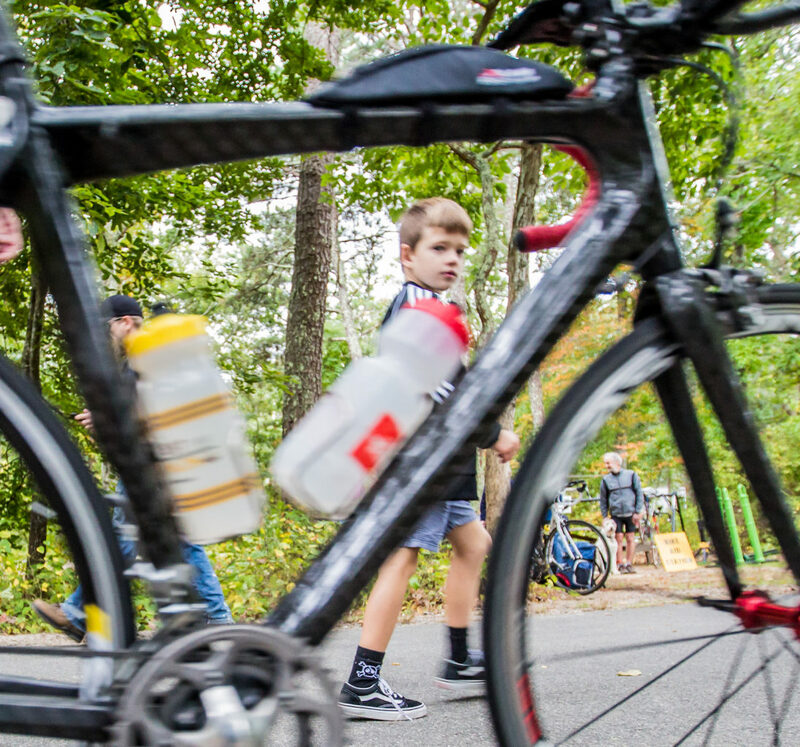 Many groups — usually friends and family members — gang up to form two- and three-person relay teams, each tackling one leg of this short (by triathlon standards) course. I first entered the Falmouth Triathlon the very year we bought the house, in 2014. That evening after the race — and for months afterwards — the feeling of accomplishment and satisfaction was so strong I could not wait to experience it again. So in 2015 I was among the first to sign up. Once again, the atmosphere of the day was so friendly, the event so well organized, the crowds so diverse. 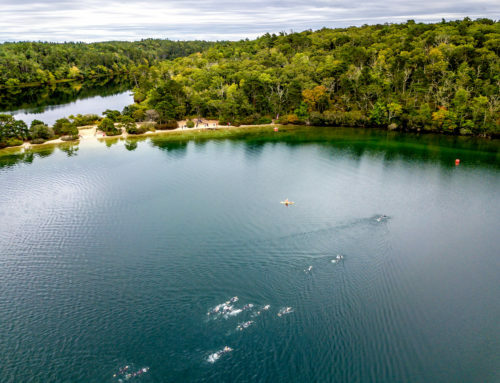 (Did you know 25 of the 50 U.S. states — and many foreign countries — make up a typical Falmouth Triathlon field?) I enjoyed every moment — and what a treat to have an short walk home after a terrific morning in the sun! I spend most summer weekends here in Falmouth, swimming in Vineyard Sound, often entering the gentle waters at the very spot on the beach where the race begins. Everyone has a leg of a triathlon they love or dread. 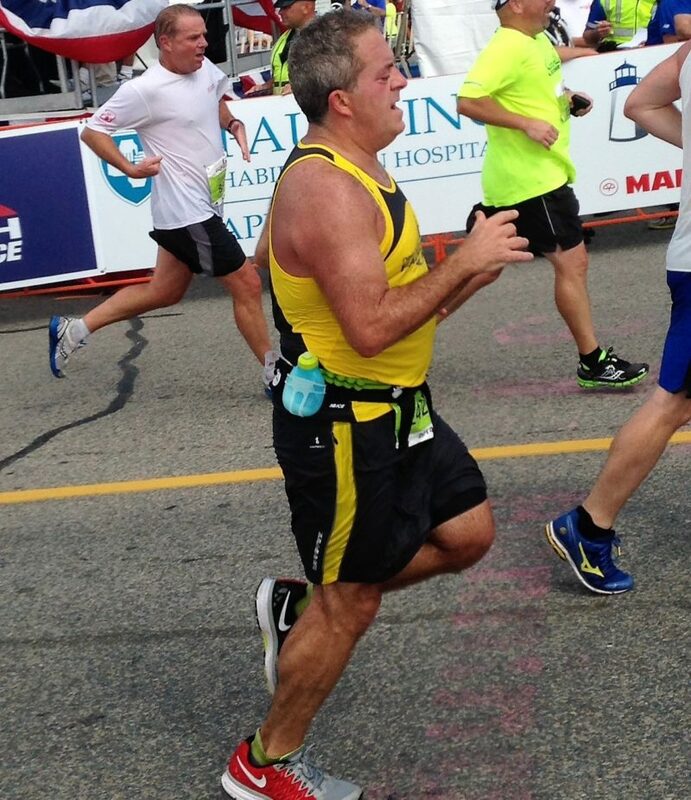 Oddly, even though I train most often by running my strongest effort in each Falmouth race so far has been the swim. Perhaps that’s due to my “local knowledge” of that familiar patch of emerald green sea. In 2015, I actually excelled at my swim time so much — pushing myself to the very limit — that it was to the detriment of the cycling leg. I burned up all of my energy in the water and I couldn’t hit my stride on the bike for a couple miles. 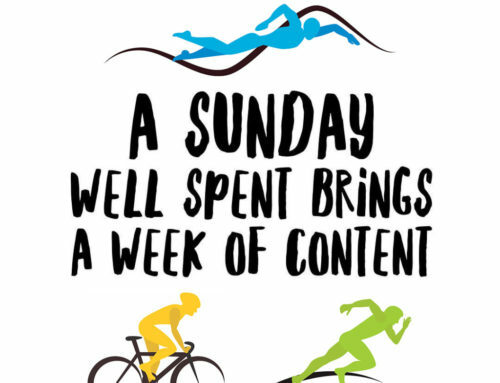 It was a day to realize the importance of pacing oneself! 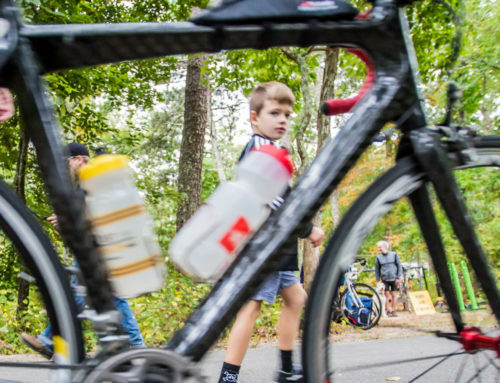 The bike course is beautiful — how many races climb upwards toward a lighthouse? — and, at nine miles, relatively short. With almost a thousand competitors there’s always another cyclist up ahead to try to follow, and perhaps catch. Try too hard, though, and your upcoming run could become a real challenge. Yes, the run. The course hugs the ocean and provides panoramic, unobstructed views of Martha’s Vineyard and Woods Hole. My legs feel like jelly underneath me as I begin that run (again, refer to those challenges of pacing, mentioned earlier) but for Falmouth I have developed the perfect strategy to maintain a good pace during the run leg: to draw inspiration from the scenery. The mind forgets the body’s fatigue while I push along on that smooth paved surface with those spectacular views. A year ago, I began training for the Marine Corps Marathon (I’m not a hard-core runner by any means, but the spirit just hit me) and thought I might not be able to find time to also train for swimming and cycling. So I decided to skip Falmouth. Silly decision; I became injured from too much running and ended up missing both the Marine Corps Marathon and the Falmouth Triathlon! Since then, I’ve learned a lot about the virtues of cross-training. I have vowed to turn things around this year, and my post-injury training has progressed smoothly. 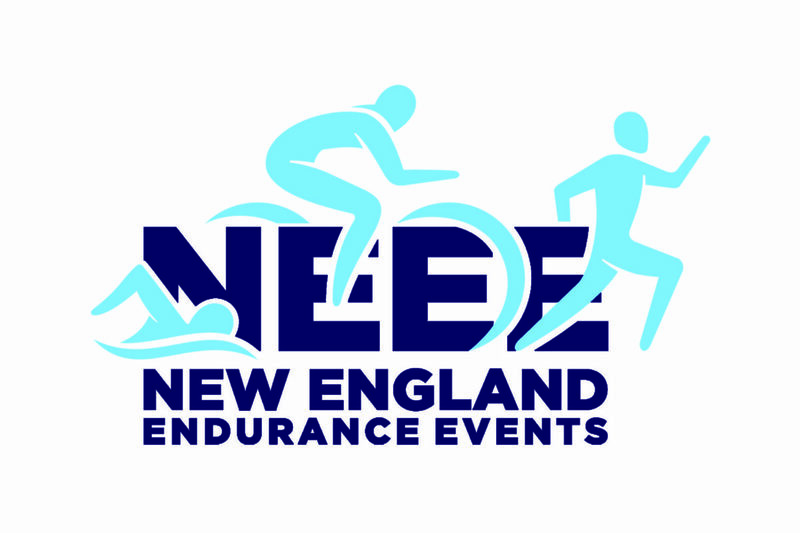 I’m once again ready to compete in the 2017 Falmouth Triathlon! I’ve completed a lot of race courses, and overall I must admit that while Falmouth course is the most picturesque, it’s not a day at the beach. For those athletes of moderate-to-better conditioning who are looking for a challenge, you’ll find it right here. 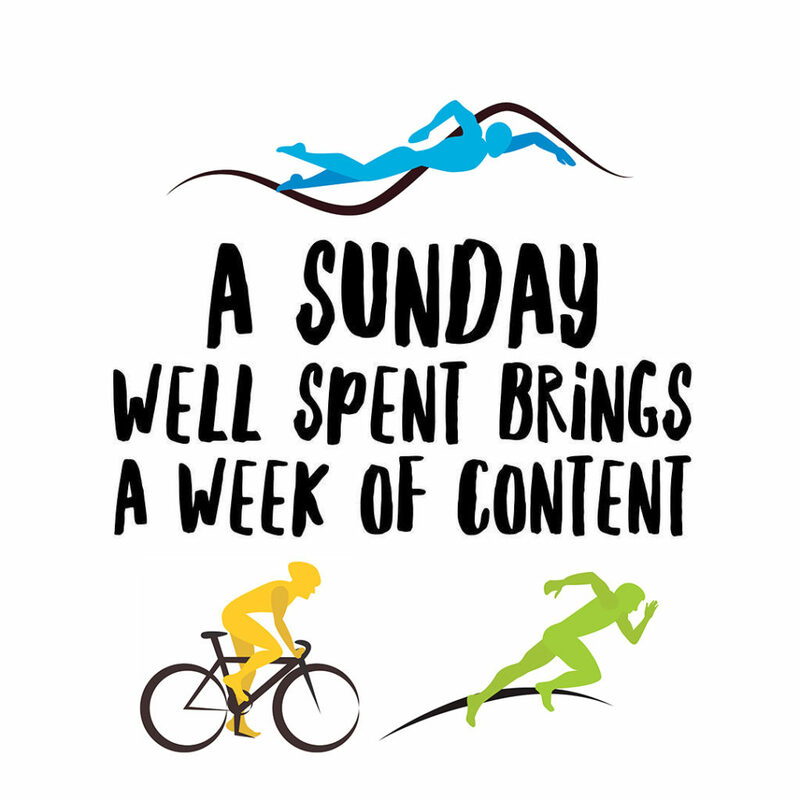 As I write this, in mid-spring, I keep the memory of race day alive in my head to motivate me to train and be fully prepared this year to complete the course I love so much. See you on July 16! 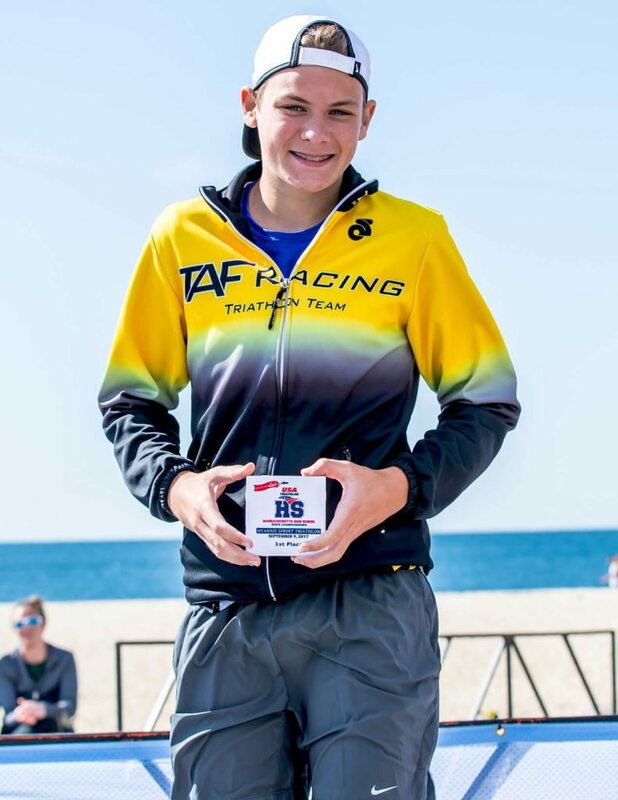 Warren Kirshenbaum shares his experience with the Falmouth Triathlon- as a spectator and a participant. 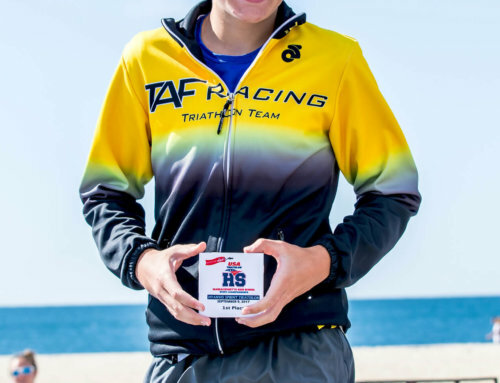 June’s Hyannis Triathlon named as both Massachusetts Age Group and High School State Championships.